By Matt Reimann. Nov 14, 2017. 9:00 AM. When Astrid Lindgren wrote Pippi Longstocking in 1945, she created a character that would captivate children the world over. Ever since, young readers of all generations have been charmed by the preternaturally strong, independent, and daring young redhead. The supervision-less, irreverent character scandalized a few readers in Lindgren’s day, who determined the anarchic protagonist a poor role model, but Pippi’s charm won out. Lindgren’s work has since been translated into dozens of languages and sold over 80 million copies. Astrid Lindgren is more than Pippi Longstocking, though the character is more than enough to rest a legacy on. Lindgren wrote The Six Bullerby Children, about six children in a bucolic Swedish setting; Ronia The Robber's Daughter, featuring another strong heroine, this time in early-medieval Sweden; and Karlsson-On-The-Roof, about a portly confident boy who can fly by way of a propeller that ejects from his head. Nor was Lindgren only a writer: she was editor-in-chief of children’s books at Rabén & Sjögren, a Swedish publishing house, for 25 years. Below, we’ve collected the best quotations from one of the best children’s authors the world will ever know. What makes this popular quote even more interesting is the context. 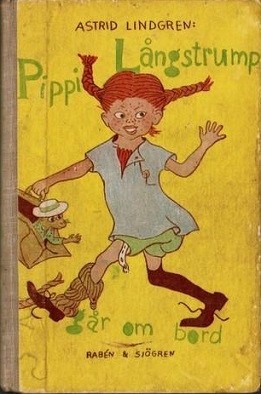 When Pippy Longstocking was released, critics argued Pippi displayed signs of persistent immaturity, with one professor of psychology comparing it to mental illness. “I want to write for a readership that can create miracles. Children create miracles when they read. That’s why children need books." "Everything great that ever happened in this world happened first in somebody’s imagination." “If I have managed to brighten up even one gloomy childhood—then I’m satisfied." "You can put things in a book that only children are amused by. You can certainly also have in it things that both children and adults enjoy, but you must never put things in a children’s book that amuse only adults. That would be rude to the child—who is going to read the book." "I don't think anything impresses me, least of all myself." To the very end, Astrid Lindgren was humble. It is clear she reserved much of her love for her characters, her family, and children everywhere.